WHAT A WAY TO ROUND OUT 2017! DWG had the pleasure of working with LS3P, ADC, and Rodgers Builders on the renovations to Self Regional Healthcare’s existing facility in Greenwood, SC. Even better is to find out that this project was chosen as a winner of Healthcare Design Magazine’s 2017 Remodel and Renovation Competition! This project presented the team with multiple challenges such as, the use of low-profile lighting fixtures, exposed ductwork and relocating the existing electrical room. DWG provided design and construction phase services for the cafeteria and kitchen, pharmacy, lab, endovascular lab, non-invasive cardio space, multiple conference rooms, the main corridor, the administration suite, the bridge connector between the towers, the replacement and renovation of the HVAC system, a new main electrical room, and a new switchboard room. 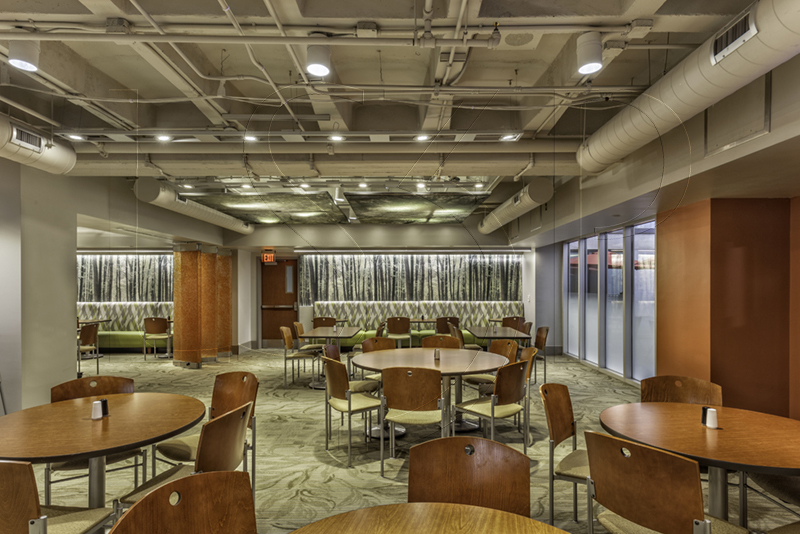 The lab, cafeteria and new main corridor element of this project were awarded an ABC of the Carolinas Eagle Award. 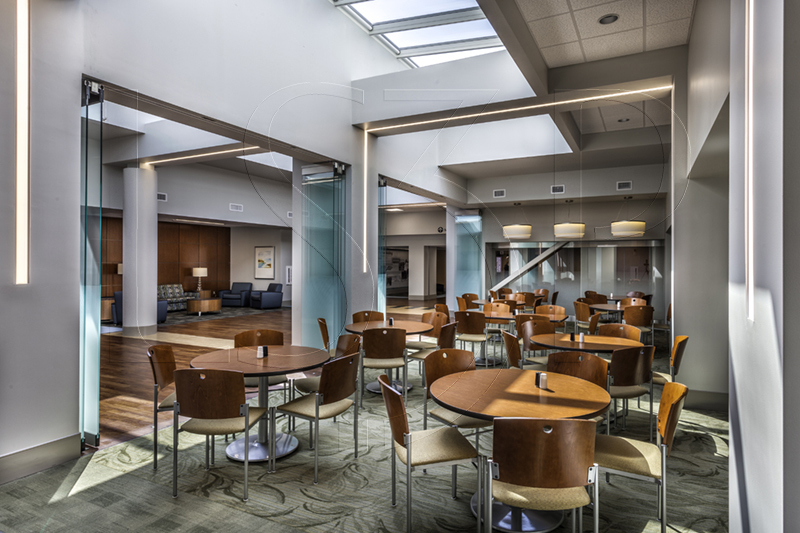 With the addition of moveable glass and resin panels, the hospital has the ability to adjust the use of the dining and main corridor spaces depending on their current needs. The main dining space was moved into a more easily accessible location to improve the functionality of the entire space. Again, this was such a positive way to end 2017! Many thanks to our colleagues at LS3P for assembling this team to provide such an impressive space for the residents in and around Greenwood, SC. Here’s to 2018 and all the amazing opportunities to come our way!